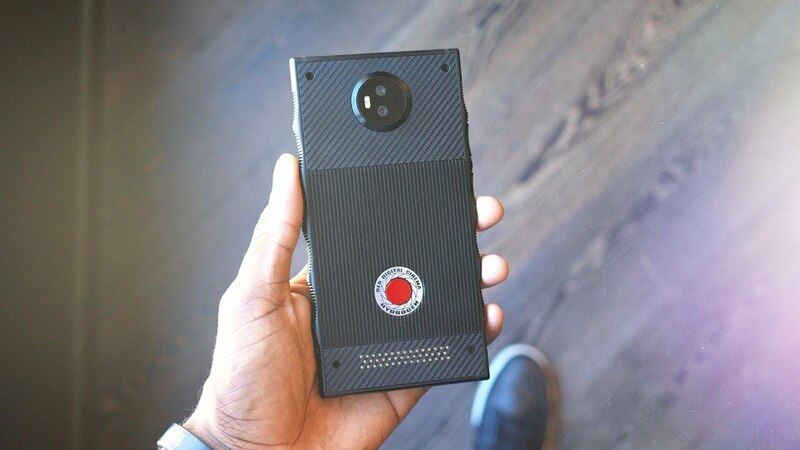 In July of last year, high-end camera maker RED announced Hydrogen One, an Android-powered smartphone with a price tag of $1200+ and a shipping timeline of Q1 in 2018. Pre-orders went up at that same time, so people who had the money for a purchase like that have been patiently waiting to hear a lot of details concerning the device. It’s now January, 2018 and the folks at RED have posted to their forums a few of the details customers have been waiting to hear. At the time of announcement, RED pushed a few unique aspects of the device, such as the 5.7″ “Hydrogen Holographic” display. In this post, RED states, “There is no way to describe this. You just have to see it. So far, everyone that has seen it gasps, swears or just grins.” When not in 4V mode, though, it should look like any other smartphone display with a resolution of 2560 x 1440. Are you seeing a trend so far? I am. Basically, RED is asking potential buyers to take a leap of faith with their $1200+ purchase, while saying fancy words like multichannel spatial sound and holographic display. They can’t quite describe these features, but they can tell you how cool they are. Let this go into my upcoming book, “How to Make Your Phone Sound Like a Kickstarter Scam.” This is no knock at RED, but seriously, if I’m paying so much for a device, just give me the details in plain English. Already we’ve gone from a Q1 launch to a sometime in the summer timeline, unless you want the unlocked version which still doesn’t have a solid shipping timeframe. Answering whether owners will be able to share 4V content captured on the device, RED says, “Absolutely. We will be able to announce our social media partners pretty soon. You will not be disappointed who is supporting HYDROGEN 4V. Big dogs.” So, yeah, big dog social media partners and as good as it gets carrier support. Things are sounding nice over there. For all of the details, follow the link to RED’s forums below.